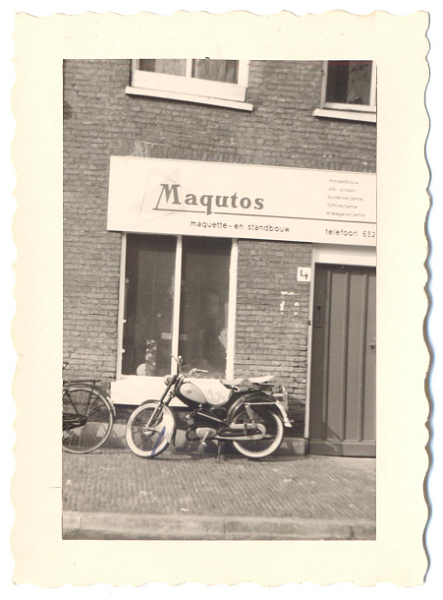 In June 1959, Ton Bongers (furniture maker) and Aad van Kan (décor painter) decided to start for themselves and started the company Maqutos. They derived the company name from the word ‘maquette’, which stands for three-dimensional. Bongers and Van Kan started in the Zorgvlietstraat in The Hague, in an uninhabitable house, which was transformed into an office/workshop (see photos below). 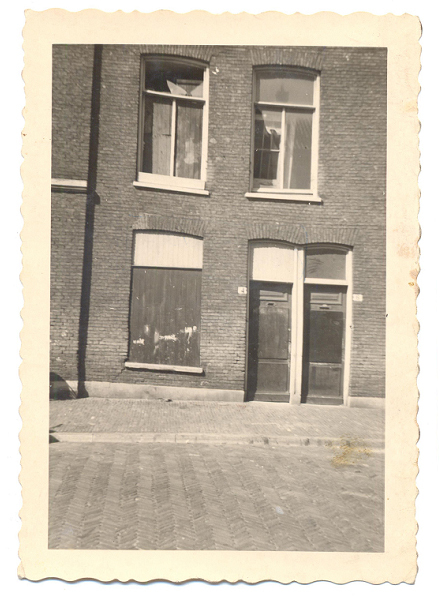 In the mid-1960s, Maqutos moved to the Nieuwe Molstraat, where the carpentry work took place. The painting still took place at a different location in The Hague. In 1974, Maqutos moved to the Ostadestraat in The Hague’s Schilderswijk, in an old bakery factory, in which could be tinted and painted in one place. Maqutos then grew even more, and after a few years the owners added a location in Honselersdijk. But the company also grew out of these locations: the center of The Hague and the Westland were being abandoned. In March 1987, the first pole struck the new location on Kerketuinenweg; A year later (March ’88) Maqutos entered the new location. Anno 2017, the business park on Kerketuinenweg is still home to Maqutos. 1987 was a significant year for Maqutos. In addition to moving to the current building, Maqutos won the ‘Silver Stork’. The Silver Stork is an annual prize for The Hague companies. With this prize, the municipality appreciates good entrepreneurship and emphasises the importance of business for the city. Around the 40th anniversary of the company in 1999, the transfer of shares to the current owners took place. Meanwhile, Maqutos has grown into a state-of-the-art organisation with two specialisations: exhibition construction and interior design.